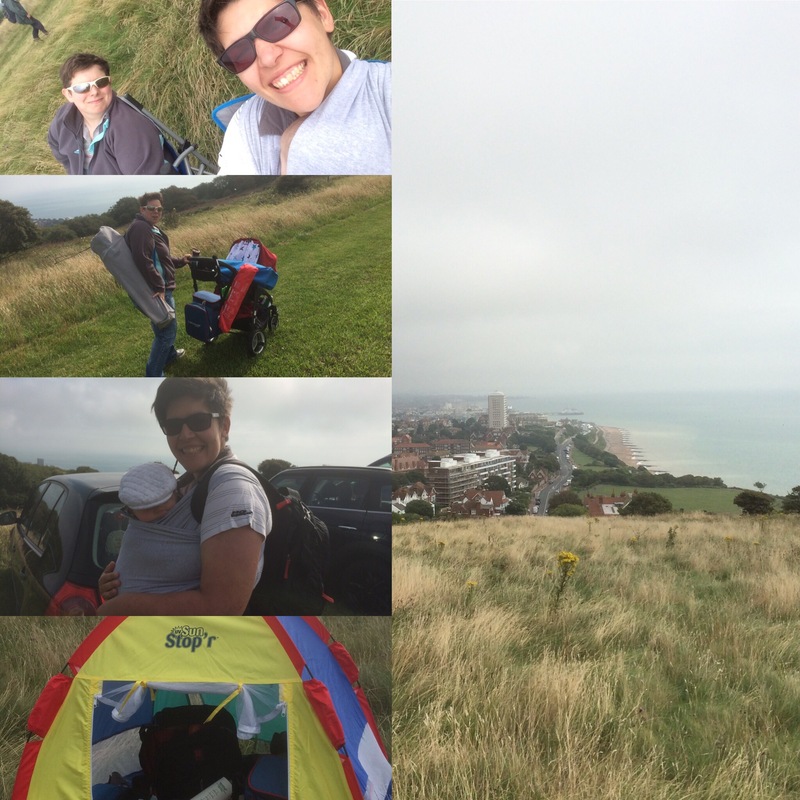 Last Friday we went to Eastbourne Airshow for the first time in about 2 years. We’ve been plenty of times before but haven’t been for a while due to my work. 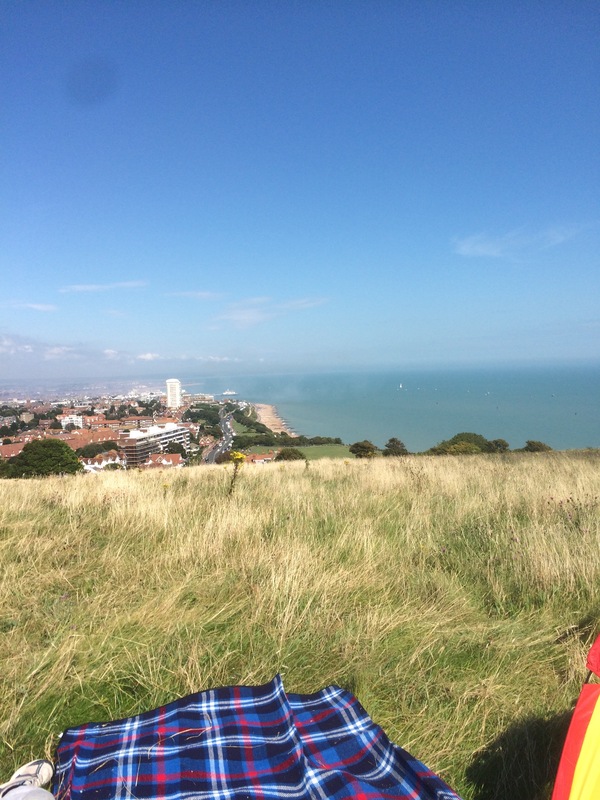 Most years we’d head into town for what we thought were the best views of the planes, but we didn’t think it would be very buggy friendly, so we decided to avoid the crowds and head to Beachy Head for the day as it overlooks Eastbourne seafront where the show takes place. We set off early not knowing whether there would be queues for the car park but there wasn’t so we were there 2 hours before the show started! It did mean, however, we were able to take our time picking the right spot. The car park, which was a field converted to a car park, was only £5 and it meant safe parking and toilets if we needed them. 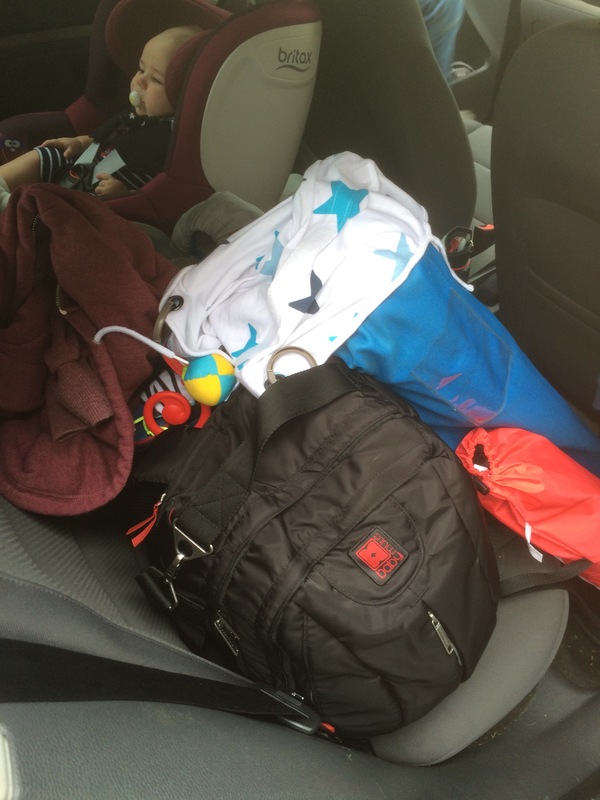 As expected, we packed everything apart from the kitchen sink – but it was definitely needed! It meant we didn’t have to move or go buy anything. When we got there we wished we’d done this year’s ago. Not only do you get an absolutely superb view, but the area is perfect for families. It’s not crowded and you barely realise you’re sharing the view. There were lots of kids running around and being so high up and exposed meant it wasn’t noisy. It’ll be perfect when T is running around. We set up a camp for the day, although still expecting to cut the day in half if the previous day’s weather was anything to go by. The weather started off quite cloudy but by 11:00 we had beautiful blue skies and sunshine. It was wonderful. Both of us even caught a bit of sun! Considering we were on top of a very big hill we were able to pick up the transmission from the commentators box on S’s phone. So with that, our camping chairs, a picnic, and flask of tea – we looked like a right pair of anoraks, especially when the planes flew past and S took photos. Although T was none the wiser about where he was, you can tell he enjoys being in the great outdoors. He kicks the long grass and is often caught just looking up at the clouds. If we were lucky enough to find a large bug, he’d happily gaze at that as well. Being outside and nicely spread out meant I was able to feed T without wanting cover on (although to be honest, I haven’t fed outside with a cover on in weeks!). It was certainly a bizarre feeling feeding T as the Red Arrows flew past. 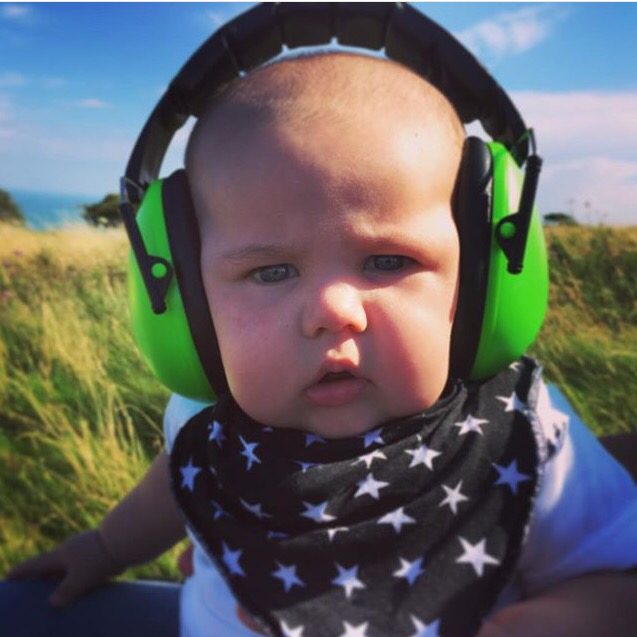 Before we decided to go to the air show I was worried it would be too loud for T so we got him a pair of ear defenders just incase, but apart from one of the jets (I won’t embarrass myself and bore you by telling you the name of it) everything was very baby friendly! Being where we were meant there was no rush to move on or get back to the car, so we stayed there pretty much all day. The day was perfect and we will absolutely go again. T’s grandad is especially looking forward to taking T one year and boring telling him about the planes.